J.B. Pritzker speaks at the Celtic Knot Tuesday. The Democratic gubernatorial candidate discussed his views on policy issues at the campaign event presented by the Evanston chapter of Action for a Better Tomorrow. 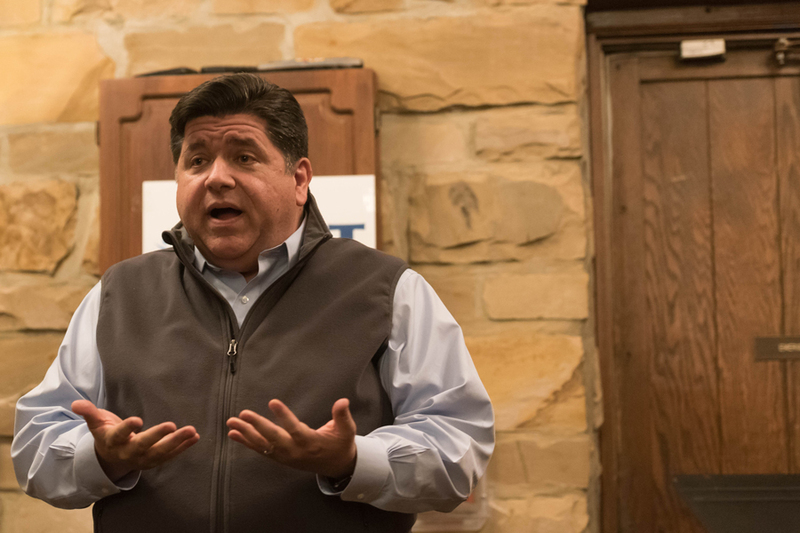 Democratic gubernatorial candidate J.B. Pritzker spoke at the Celtic Knot on Tuesday, outlining his views on policy issues such as health care and Illinois’ tax system. The campaign event, presented by the Evanston chapter of Action for a Better Tomorrow, drew a crowd of about 60 people. Pritzker also answered questions from attendees and discussed why he decided to run for governor. It’s been a little more than two months since Pritzker defeated State Sen. Daniel Biss (D-Evanston) in the Democratic primaries, and he is now on the path to the general election in November in which he will face Republican Gov. Bruce Rauner. Rauner is vying for his second term after spending two of his years in office plagued by a budget impasse. Pritzker said he is aware that both he and Rauner are businessmen, but he noted that Rauner also accepted donations from the billionaire Koch family while he did not accept any outside donations. Pritzker also said that if he wins the governor seat, he plans to raise the minimum wage, create jobs, legalize marijuana and reform the tax system. He added that he would make health care available and affordable to everybody by supporting the public option, which would create a government-run health insurance agency. Alisa Kaplan, director of Action for a Better Tomorrow, said the group invited Pritzker to speak because they wanted to hear his views on issues troubling the Democratic Party as well as the state as a whole. During the Q&A portion of the event, Pritzker said he would get rid of gerrymandering and also does not support public financing of statewide campaigns, only allowing individual donations to such campaigns. McCormick senior Amaan Badruddin said he attended the event to try to better understand what was going on with the gubernatorial race since he will be staying in Illinois after graduating. A previous version of this story misstated J.B. Pritzker’s views on public financing of statewide campaigns. He does not support the measure. The Daily regrets the error.